Wuxi, China - Feb. 4, 2013 - Suntech Power Holdings Co., Ltd. (NYSE: STP), one of the worlds largest solar companies, announced the completion of the largest ground mounted PV system in the Kingdom of Saudi Arabia. The 3.5 megawatt (MW) system is owned by Saudi Aramco and installed on the grounds of the King Abdullah Petroleum Studies and Research Center (KAPSARC), the worlds largest energy research center, in Riyadh, Saudi Arabia. Klaus Friedl, Vice President Projects and Head Middle East of Phoenix Solar, said, "We are pleased to complete this historic project which will provide clean, renewable energy for KAPSARC as well as for the Saudi grid. We chose Suntechs panels because of their proven durability and performance in high-temperature, desert conditions." Utilizing Suntechs premium solar panels, Phoenix Solar designed and built the 3.5MW system, which will enable KAPSARC to achieve LEED platinum certification. The ground mounted solar field is comprised of 12,684 Suntech panels and covers an area of 55,000 square meters. The grid connected system is designed to supply 5,800 megawatt hours of electricity per year and offset roughly 4,900 tons of carbon dioxide (CO2) emissions per year. Ron Shen, Suntechs Vice President of the Asia Pacific, Middle East and Africa, said, "This project represents an important milestone in the development of the solar industry in the Kingdom of Saudi Arabia. We are pleased to work with our partners Phoenix Solar and Saudi Aramco and look forward to continuing to support the ongoing growth of solar in the Middle East." 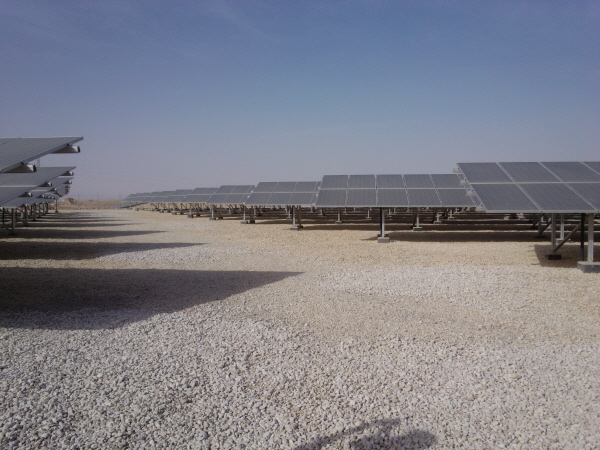 To learn more about Suntechs projects in the Middle East, please visit the Suntech Connect blog and like us on Facebook. Founded in 1999, Phoenix Solar is a global leader in designing, building and operating large commercial and utility-scale solar power plants. Phoenix Solars technology-neutral approach enables them to objectively provide the best solar solutions for their customers. Their people provide expertise at every level, from project finance all the way through to plant operations. Suntech Power Holdings Co., Ltd. (NYSE: STP) produces solar products for residential, commercial, industrial, and utility applications. With regional headquarters in China, Switzerland, and the United States, and gigawatt-scale manufacturing worldwide, Suntech has delivered more than 25,000,000 photovoltaic panels to over a thousand customers in more than 80 countries. Suntechs pioneering R&D creates customer-centric innovations that are designed to drive solar to grid parity against fossil fuels. Suntechs mission is to provide everyone with reliable access to natures cleanest and most abundant energy source. For more information about our people and products visit: http://www.suntech-power.com.